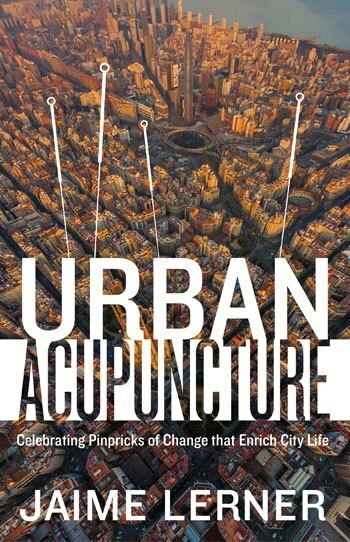 Jaime Lerner, one of the most influential urban leaders of our time, has written down all of his hard-earned wisdom about the city in one slim yet rich volume, Urban Acupuncture: Celebrating Pinpricks of Change that Enrich City Life. This set of musings, a translation of the original Brazilian Portuguese book, pulls you in with its natural, intimate tone; it's like you are sitting and having a conversation with Lerner over a glass of wine in a cafe. Lerner is an architect and urban designer who became mayor of the Brazilian city Curitiba, where he famously brought his practical yet innovative thinking to solve some tricky urban challenges. Along the way, he created bus rapid transit, devising a low-cost alternative to subway systems for developing world cities -- and now increasingly, developed world ones, too. He came up with smart ways to clean up Curitiba's bay, partnering with local fisherman in trash collection. He turned down the World Bank, with its offer of millions in loans, to find sustainable, home-grown solutions. With his many smart alternatives, he showed other cities how to do it right, themselves. Lerner organizes his thoughts on the city through one central theme: urban acupuncture. He writes: "I have always nurtured the dream and hope that with the prick of a needle, diseases may be cured. The notion of restoring the vital signs of an ailing spot with a simple healing touch has everything to do with revitalizing not only that specific place but also the entire area that surrounds it." He says "good medicine" depends on a good relationship between doctor and patient. In the same way, a healthy city depends on a good relationship between urban planners and designers and the city itself, another kind of living organism. Good urban planning can awaken a city to new possibilities, creating new life. But he cautions that it's a process. Like medical acupuncture, which is rooted in an ancient Chinese medical philosophy that calls for a sustained, long-term preventive care, urban acupuncture takes time to create cures. What are examples of healing urban acupuncture? Lerner has traveled all over the world, carefully examining all types of pinpricks to determine their impact. 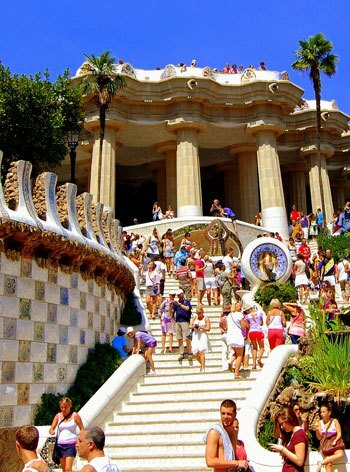 These pinpricks can be buildings -- like Frank Gehry's Guggenheim Museum in Bilbao but also landscapes, like the Park Guell, one of Gaudi's masterpieces, in Barcelona. Size doesn't really matter, either. 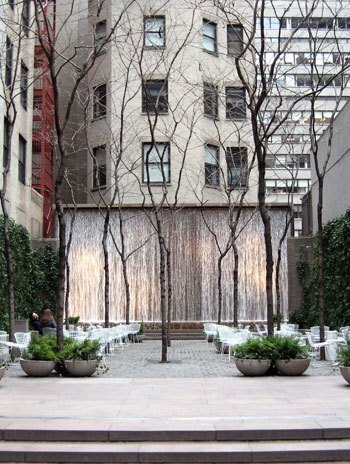 "You can feel it at work in the smallest venues, like Paley Park in New York." Undoing previous damage to our urban landscape is another form of healing acupuncture. For example, taking out San Francisco freeway helped revitalize that city. Lerner presents deceptively simple stories that reveal deeper wisdom about what makes good urban life. Brief case studies are just long enough to get you thinking in a new way. Most succeed. 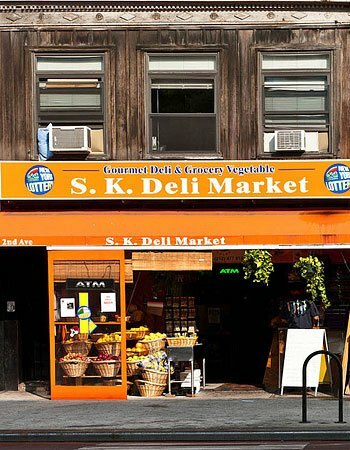 In one vignette, he writes: "I often say that New York should build a monument to the Unknown 24-hour Shopkeeper. This industrious group -- many of them immigrants from Korea -- has done the city an extraordinary service merely by keeping its grocery stores and sidewalk delicatessens open around the clock. These shops not only offer infinite shelves of merchandise but also enliven whole neighborhoods by literally lighting up countless dreary street corners." He calls these shop owners the city's "true lifeblood," as they "pump oxygen into cities that must never be allowed to stop breathing." In the same vein, "street peddlers represent an institution as old as the city itself. Think of open-air markets. At a given hour, in a given neighborhood, street merchants go to work -- often hours before the lights go on in traditional storefronts -- and then vanish along with their wares and jerry-built booths, leaving hardly a trace." Commerce is then kept alive day and night, which also makes streets feel safer. Acupuncture need not be physical; it can be sensory, too, like music. "Think of Rio and you are likely to start humming 'Copacabana,' 'Corcovado,' 'Girl from Ipanema,' or 'Cidade Maravilhosa." Lerner says every city should aspire to have a song. "When a distinct song or beat takes hold of a city's or country's identity, then good acupuncture is at work. It has echoes in everyday living, like improvised tapping on a matchbox at a street bar in Rio, the beat of drum on the sidewalk in Bahia, or hip-hop gushing from giant boom boxes in the streets of New York." Does your city have a song everyone knows? If not, why not? He also points out where cities have gone astray and offers his take on how to fix these problems, using simple, common sense steps. 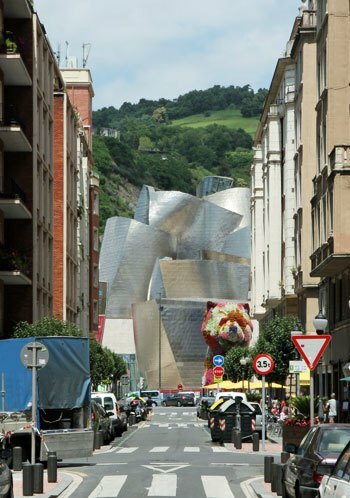 For example, in Santiago de Cali, Colombia, he decries the destruction of the city's identity amid "outsized avenues." "Just to cross them, you'll find yourself huffing up and over suspended pedestrian bridges." Here, he argues, "good acupuncture means building things smaller and stepping aside to give way to the simple beauties of nature, like the handsome river or the caressing wind." Those big avenues break up street life, creating tears in the urban fabric. Gaps in the city can also kill street life. For Lerner, so many urban problems are caused by a "lack of continuity." He points to a sad "city pocked with lifeless suburbs or tracts of urban real estate devoid of housing." These places are just as skewed as those with "abandoned lots and ramshackle buildings." Cities must fill in these voids, even with temporary structures. One of his strongest statements: "continuity is life." While he touches on so much, Lerner's message seems to be healthy street life is central to the city. Without it, the city dies. He argues: "good acupuncture is about drawing people out to the streets and creating meeting places. Mainly, it is about helping the city become a catalyst of interactions between people." And so, "the more cities are understood to be the integration of functions -- bringing together rich and poor, the elderly and the young -- the more meeting places they will create and the livelier they will become."